The sysadmins at TnR Global, LLC enable email to be successfully delivered from EC2 instances, instead of being caught by Spamhaus and others. TNR Global offers different cloud computing and virtualization solutions depending upon your needs. Whether you run your own data center, or want to run on hosted infrastructure services such as Amazon Elastic Compute Cloud (Amazon EC2) and Rackspace Hosting, we can assist in assessing costs and performing migrations to the cloud. We have the expertise to leverage the full spectrum of Amazon Web Services (AWS) and Rackspace to work for small and mid-sized businesses, laboratories and organizations. We have over 4 years of experience in cloud computing platforms. Our extensive knowledge of the AWS platform and tools allows you to avoid costly mistakes and false starts, getting you up and running quickly, securely and scaled just right. We can help you improve your IT infrastructure with a Virtualization Platform. Virtualization reduces expense, consolidates servers, reduces overall downtime, and improves efficiencies through automation. We use Open VZ, Virtuozzo, Xen and Eucalyptus virtaulization technologies to streamline your IT department. We create a cloud computing environment tailored to the requirements of your application or development needs. We specialize in methodologies and tools that help in migration, porting, testing, and emulating systems in the cloud. TNR Global can create your own Custom Amazon Machine Image that will wrap your operating system, domain specific tools and applications, and shared data in one easily deployable package. At TNR Global we believe in freeing innovators to innovate. Our deployment and maintenance services allow businesses and laboratories of any size to utilize highly secure, enterprise quality, massively scalable IT infrastructure and experienced, dedicated and available staff. 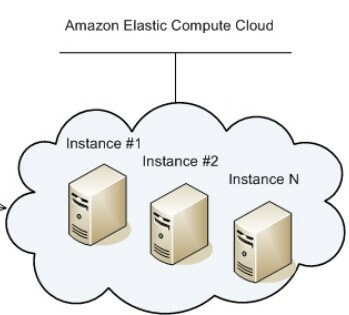 Since the fall of 2007, TNR Global has been working with Amazon Web Services and specifically Elastic Compute Cloud (EC2) services to help mid-sized companies leverage the benefits of the cloud computing platform. Cloud computing offers application vendors, publishers, and researchers increased agility/time to market, elasticity, minimal capital expenditure, and pay-as-you-go pricing. TNR Global specializes in methodologies and tools that help in migration, porting, testing and emulating applications in the cloud. We offer expertise on the full spectrum of services related to Amazon Web Services. Our experts will work with you to provide cost comparisons and risk assessment for application hosting ‘in the cloud’ versus traditional data centers for ongoing deployment, shorter-term prototyping or even one-time computations. If it is determined that AWS is the best alternative, we provide efficient, secure, cost-effective and properly scaled configuration, creation, and deployment of application platforms using the full range of AWS offerings. Our expertise in building custom images on EC2 allows us to offer unique solutions tailored for each customer.